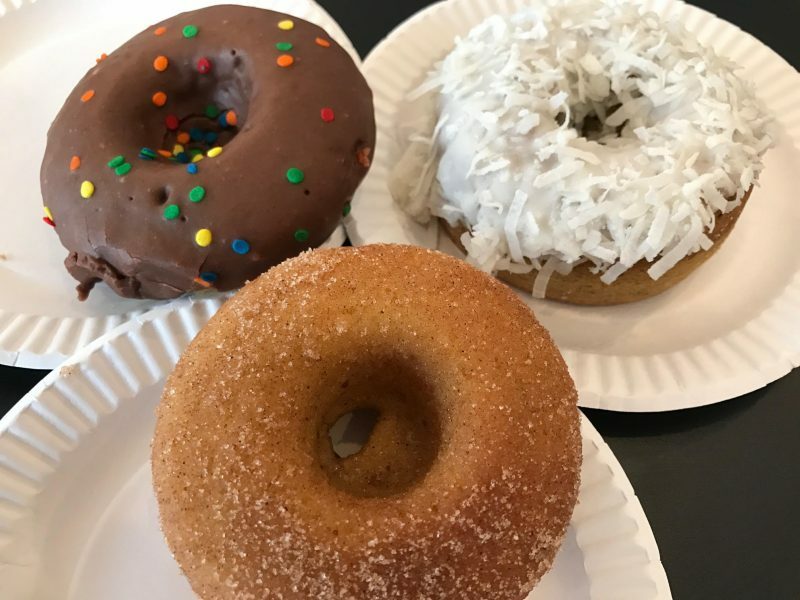 Open for a few weeks in Great Neck, Long Island, NY, Foughnuts is a new kosher dessert cafe / “healthy” bakery specializing in baked donuts located down the block from the Great Neck LIRR station. Cinnamon Sugar, Red Velvet, Chocolate Peanut Butter, Cookies & Cream, Chocolate Ganache, Apple Caramel, Lemon Poppy, Cafe Mocha, French Toast & “Faken”, and Pumpkin Spice. Gluten free flavors include: Strawberry Basil, Banana Coconut, Confetti Fun!, and Blueberry Crumb. The cafe also offers cookies and coffee roasted from Brooklyn Roasting Company. 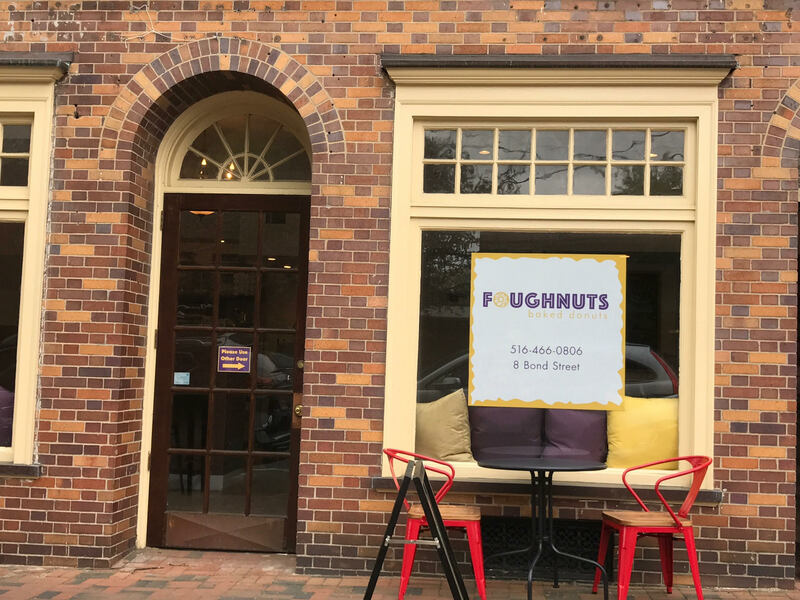 Plenty of seating is available at Foughnuts giving a warm and inviting atmosphere for those wanting to hang out on the couches, or enjoy their coffee and donut accessing their free wifi. Foughnuts is open from Mon-Fri 7am-9pm, Sat 8am-9pm, Sun 9am-5pm. They are under the kosher supervision of Earth Kosher (Rabbi Zushe Yosef Blech).